Design’N’Buy is in Web2Print industry with 5 + years of experience, clients in 90+ countries & 500+ live implementations of their turnkey solutions as well as custom implementations. This company is capable of fantastic work. If you are fortunate enough to work with Drumil and Satish directly, you will enjoy altering and customizing your website with expert results and a high degree of professionalism at an affordable cost. As an existing client, I would advise new clients request to work with the support team directly. Our project suffered early delays due to communications issues with a liaison. This setback has been made up for since we began working with support directly, getting exactly what we need in extremely fast turnarounds. Our niche business required a multi-template product page that was not available with any existing options on the market, including Design'N'Buy's. We paid a small customization fee and they provided a solution that makes us proud to direct users to our site. "Great Product, Customization for Our Needs, Responsive Team"
We needed a custom solution for large format printing within our already existing WordPress platform. DesignNBuy was able to assess our needs and propose a solution that worked with our existing systems. We weren't an "out of the box" solution for them, they had to learn about our requirements and integrate with custom plugins and requirements, and they did the job perfectly. I would highly recommend DesignNBuy if you need a hosted solution, customized to your needs, at a reasonable price and with great support. The only very minor issue is that they work opposite hours of us in the USA, but this is common in the tech industry. If we ever had a small issue, we let them know and it was usually fixed by the following morning. Very responsive team. Great ability to customize solution to your needs. We needed a custom solution for our customers to design posters online, add text, clip art, etc, and be able to do so with custom sizes. DesignNBuy met all of these requirements perfectly. What Apparel Design solution do you use? As one of the biggest dutch sign webshop its important to offer a great online experience. Customers should be able to designing their own sign. We had a lot of wishes and requirements. One of the requirements was a product designer that was compatible with full vector files. We ended up at the HTML product designer of Design ’n Buy. This Magento module contains a large number of functionalities that we needed. They were also able to build the customized functionalities we needed. Currently we’re implementing the software they build for us. I 'm very satisfied about the way they communicate. Although the distance between India and the Netherland, communication was no problem at all. The project manager and sales manager kept contact with us when necessary. Questions were answered quickly. They have a lot of experience in HTML, PHP and HTML They ware able to build everything we needed regarding our wishes. Complex solutions were not a problem. They even solved problems with our webhosting partner. I can recommend this company anyone who is looking for a product designer. But before you start think about a few things to avoid problems later. So think about functionalities and the look and feel. Keep in mind that everything takes longer than expected. We're selling nameplates / signs. With the new product designer customers can design there own products. Its saves u a lot of time. So we can offer faster delivery and more accurate design. Customer can help themself. I liked the fact that they were willing to say yes than saying we can't do that. Saying yes to our unconventional product meant that they would have to go deeper into their knowledge base and think outside the norm...I love the fact that I don't have to pay per volume. I plan to make millions selling our product and to pay per volume would make them one of my highest paid employees....I like the fact that they worked as a team...they collectively came up with ideas and presented them to me clearly and suggested options that I should consider. I like that consider me as a business partner, they know that if I grow, they grow. There are two things I would like to see Design "N" Buy work towards: 1) have the ability to send my customers files as separate elements instead of a flat file. That way I can alter or adjust them if necessary. 2) I would like to have sub-stores that my store owners can maintain based on their market. If they would implement those features, everyone would leave Inksoft and DecoNetwork in droves. Objective 1) was to have an easy to use interface that would not scare my customers. I need it to be user friendly to the lowest level and sequential in its application. We made that happen relatively easy. Objective 2) was to ensure that I could have several sub-stores and tie a commission to each product category...we made that happen. Objective 3) I needed to be able to navigate the back office (magento) and that was the toughest part but with all their team chipping made me think that these guys and girls cared about my success.. I trust Design "N" Buy! "An Excellent Web print Solution just for you"
"I would recommend this easy to use program, whether you are beginner or little more advanced. " I was really impressed by the wide array of choices that a subscriber has to choose from & use. To be so affordable, you really get more than you anticipate for the cost. I was a little disappointed with the speed of certain graphic uploads; it was always a different design, never the same ones that would cause particular delays while trying to design. I was able to cut down on cost that I was spending for displaying, marketing, and materials used after sale was made. "Great team, easy to work with"
They were always willing to customize their base product to our needs; adding new features and modifying existing ones. Great team, specially Viyeta, she was very good managing our project and communicating our needs to the rest of the team. The overal experience has been very good. we are still pre-launching our website. But based on our previous experience with Design"N"Buy we expect good support for our website in the future. We are in the wine industry, and needed a solution that will help our customer designing their own wine labels. 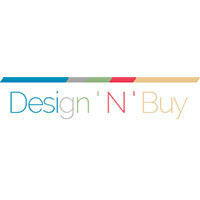 With designNbuy all my needs for the business are in one useful resource. We didn't like anything about this company, their service is crap. Do not use Design n Buy! We tried their software for 3 months and out of the 413 active sessions for just one month alone not one of those customers actually purchased a product. We've moved to DecoNetwork and since we've seen a pick up in order conversion. Don't trust them, their not worth your money or your time. We asked them for a refund as their software didn't deliver and they refused. DO NOT USE DESIGN n BUY! That's my recommendation. Their software is crap compared to others on the market. We tried their software for 3 months and out of the 413 active sessions for just one month alone not one of those customers actually purchased a product. We've moved to DecoNetwork and since we've seen a pick up in order conversion. Don't trust them, their not worth your money or your time. We asked them for a refund as their software didn't deliver and they refused. We were releasing our brand new video game and needed posters for the business front window. They produced high quality posters with great resolution in a timely manner. I will definitely use again. I honestly don't have a complaint. Even the customer service was helpful when I needed to make a quick change. High quality prints, large batches and reasonably priced. The solution was just what we needed, however the best part is the support and help from the team. We are becoming one of the first companies in our country to offer a web to print service! Sometimes there are glitches and delays. Creating some items for Diversity apps. * We monitor all Design'N'Buy reviews to prevent fraudulent reviews and keep review quality high. We do not post reviews by company employees or direct competitors. Validated reviews require the user to submit a screenshot of the product containing their user ID, in order to verify a user is an actual user of the product. Hi there! Are you looking to implement a solution like Design'N'Buy?